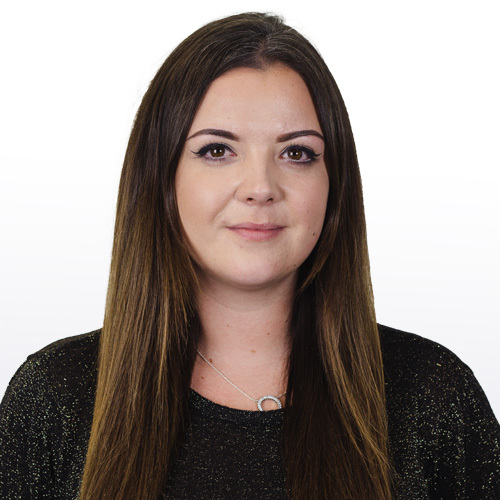 Guess whose back, back again, Franny’s back, tell a friend…and she’s bringing you the round-up of coverage this Friday! 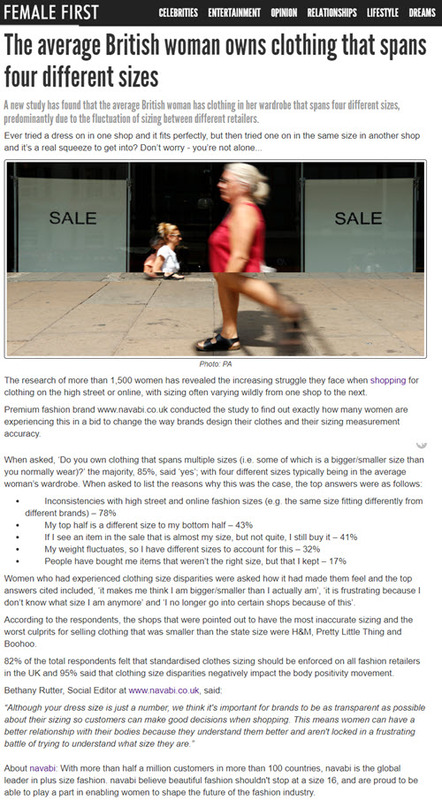 Today it comes from our clients, premium fashion brand navabi and our open water swimwear brand Selkie Swim co.
navabi looked into the fluctuation of clothes sizes amongst retailers and it was found that the average British woman owns clothes in her wardrobe that span across four different sizes. The piece was picked up by Female First. The team at Selkie Swim co took a journalist from National Geographic Traveller for a swim in a picturesque river in Oxfordshire to give them a true wild swimming experience. 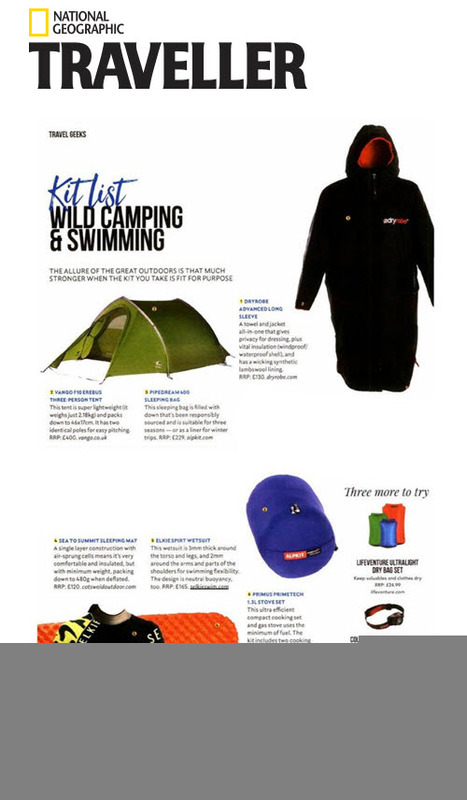 Nat Geo then featured the swim in their Top 10 Aquatic Adventures and also featured the Selkie wet suit in their wild camping & swimming kit list!